The social gaming company set the terms for the sale of its stock pretty high on the Wowza scale. Founded in 2007 by Mark Pincus, Zynga has consistently turned a profit which is unusual for such a young company. That may be the reason the IPO - Initial Public Offering of stock - is valued so high. Today, Zynga announced it will sell 100,000,000 shares on the Nasdaq tech exchange starting on December 15th at an initial price between $8.50 and $10 per share. Here's some quick math. If 100 million shares are sold at $8.50 a pop, that's a dirty $850,000,000 to make a few more -Ville games. But if the shares are sold on the higher end of the scale and the value grows as soon as those shares become available, Zynga could possibly make $1 billion or more in one freaking day. That is, if people actually think this whole social gaming thing is gonna stick around. 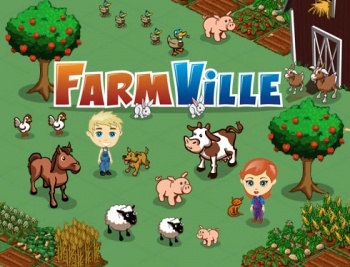 Now, if you'll excuse me, I have to go home and see if my mother-in-law has checked her cows in FarmVille recently.